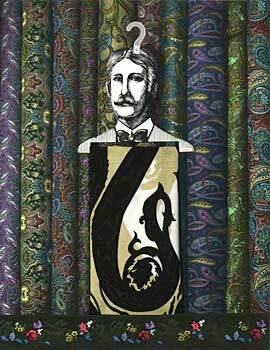 Our family has been in the fabric business for nearly 100 years! You may look around your home and see a little bit here and there from Stonemountain - in your closet, curtains, pillows, crafts, & more! 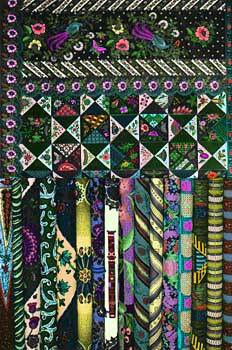 We cater to the creative community - specializing in fashion and apparel, quilting, crafting, and buttons. 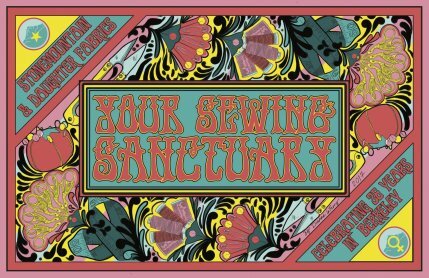 Delve into the remarkable fabrics, buttons, notions, books, scissors, interfacing & more for that special sewing or quilting project. 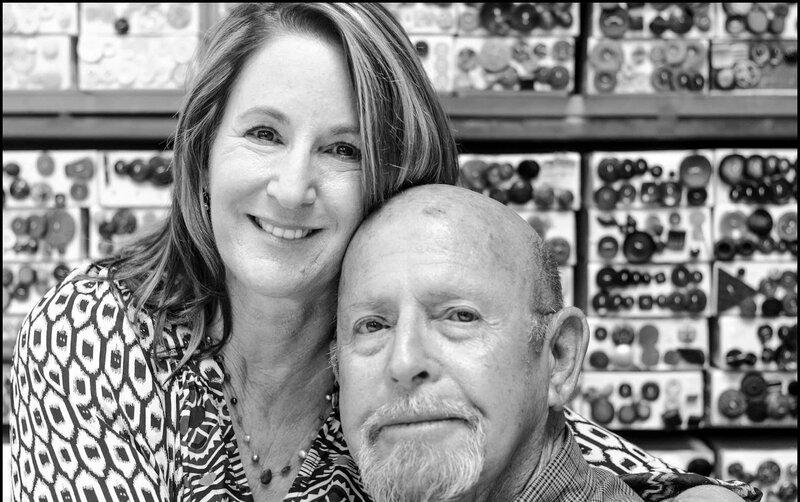 The father/daughter team who owns Stonemountain & Daughter Fabrics, Bob & Suzan, are the third and fourth generations of the Steinberg family in the California fabric industry. 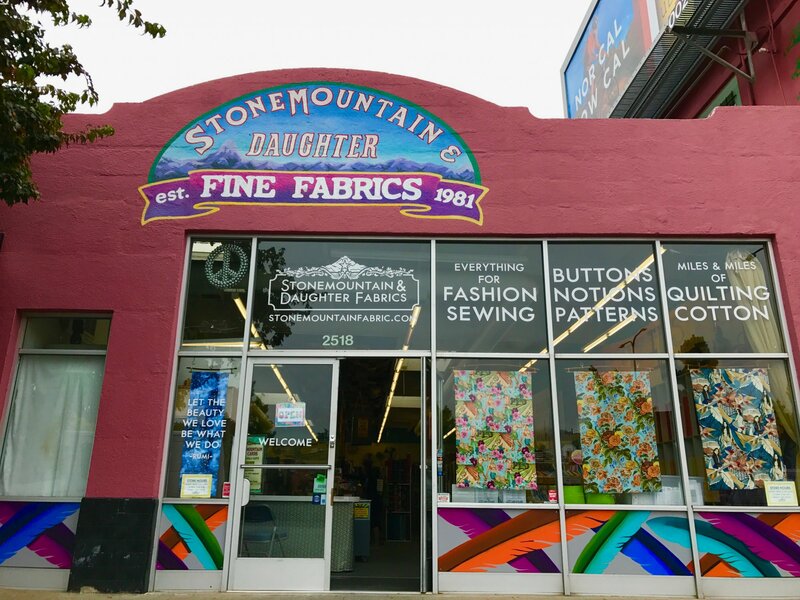 Learn about Stonemountain & Daughter's rich history - from 1919 Los Angeles, to the Psychedelic 60s, to our much beloved Berkeley storefront. Suzan & Bob in front of our famous button wall. 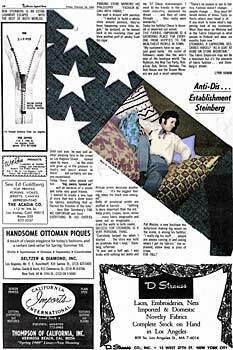 Steinberg & Sons was established in 1919 down in Los Angeles. Bob grew up in the family business working with his father, grandfather, and uncles. 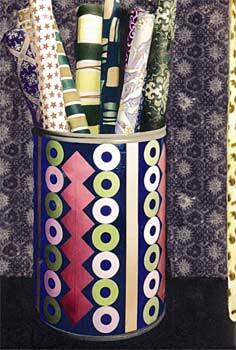 In 1967, Bob established Bob Steinberg's Fabric Emporium in West Hollywood on Melrose Avenue, where Suzan worked and played as a child. This store was a major change in how fabric was sold on the retail level. 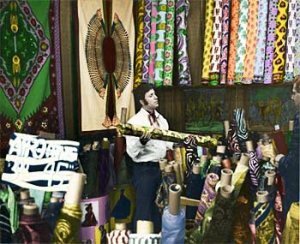 It was one of the first natural fiber fabric stores with rooms of imported fabrics from all over the world, including calicos, paisleys and one of the finest collections of prints from India and Africa. 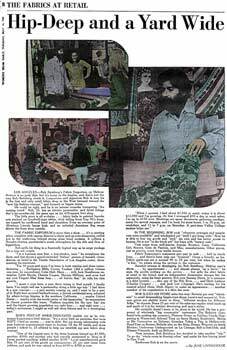 In 1976 Bob moved his family to Pacific Grove on the Monterey Peninsula and opened up Stonemountain Fabrics (Stonemountain is the translation of Steinberg). 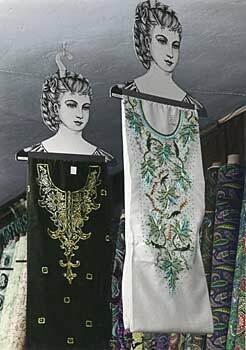 A small, wonderful store, Bob sold the fabrics he purchased from a long-time connection in the apparel industry in Los Angeles. Fabric lovers from all over were very happy to find these garment industry fabrics at great prices. After completing her studies at UC Berkeley, Suzan joined her father at the store's new location in the East Bay community. Thus, Stonemountain & Daughter Fabrics was born! 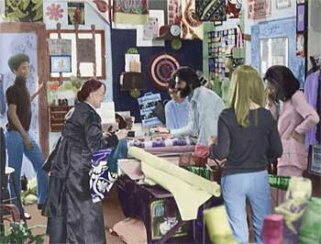 Three expansions and 36 years later, the store has grown into a top fabric and sewing center in Berkeley. Come explore 6,000 square feet full of potential!